There is absolutely nothing like it at sea! 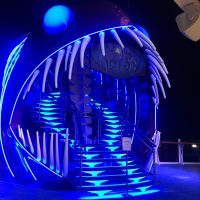 Words can’t describe the thrill known as the Ultimate Abyss onboard Royal Caribbean’s Harmony of the Seas but numbers can! And then call your favorite DWB Vacations team member to book your cruise so you can see for yourself!